Once there was a mouse trapped inside a cardboard box. She wanted to get out, so she chewed a bit here and a bit there, trying to make a hole in the box, and made small holes all over the box until she finally chewed one big enough to get out! Of course it is pretty easy to see the lesson in the story, but try as I might to change my ways, I am the first little mouse! It would probably be more time efficient to begin one project, and only work on that one project until I had it finished. But I always end up working on several things at once! Here are some things I have been working on--and even a couple that are finished!!! 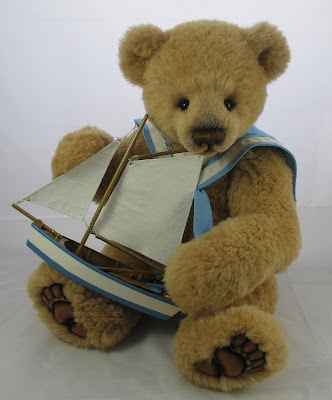 You may recall Edward Bear, the young sailor from an earlier post this month. 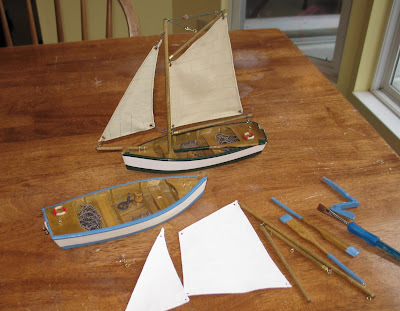 He was going to have a sailor-boy doll, but he asked me instead to give him a little sailboat to play with. 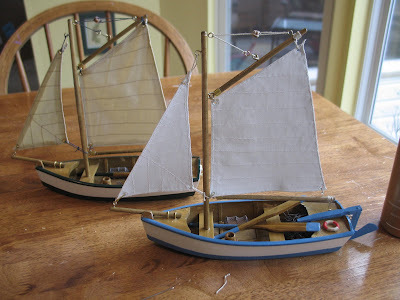 I found three lovely sailboats at Hobby Lobby, but I wanted the colors to match Edward's collar. So, I took the boat apart and painted the sails and the hull. Yes, I am doing more of these cuties! Some for orders some for shops! 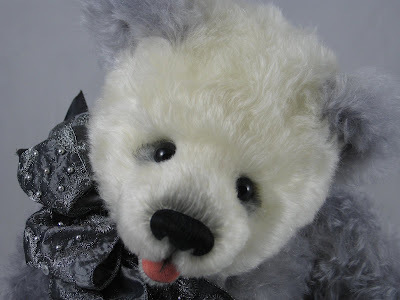 I have had a number of special commissions from collectors recently and two were one of a kind pandas. One bear was sent to his new home before I had a chance to photograph him, but Raphael had a chance to pose. He will meet his new mom on Monday. I had better get back to work on all my projects! 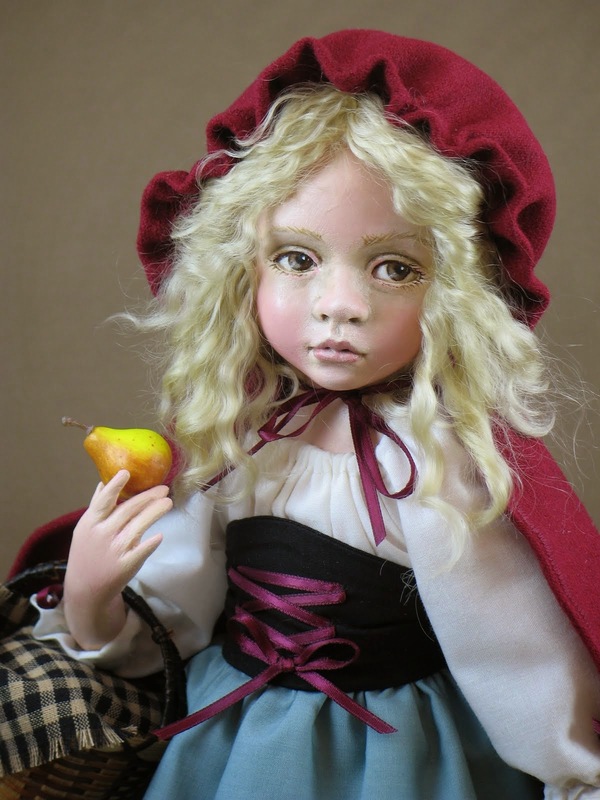 It's always such a treat popping in on your blog to see what amazing things you're up to. You never fail to disappoint. You're truly remarkable!! You know, I don't think I congratulated you on your TOBY nomination.....CONGRATULATIONS!!! Well deserved!! 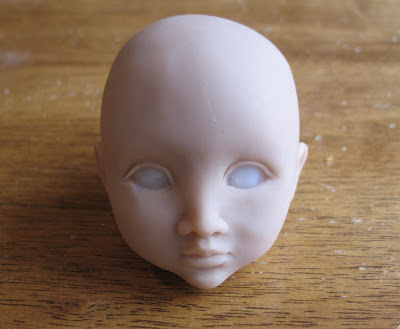 How lovely to share your 'in progress' projects Tami. Such beautiful work and well worth waiting for! 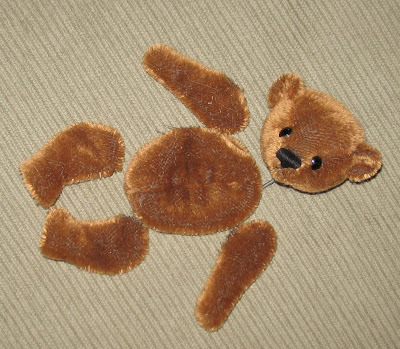 I have been out of the bear world for a while because I am plum out of time and my eyes are not cooperating after I work all day, but I hope to do some sewing this summer. 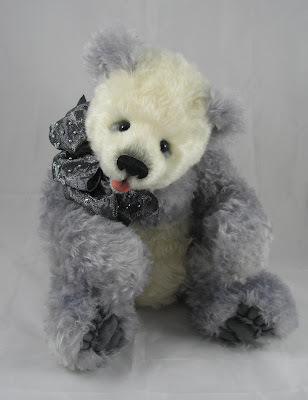 I am amazed that you are finding time to make your wonderful bears, my dear! Come visit my blog (non-bear-focused) if you like to see what our summer holds! What beautiful work you do Tami .... your bears are so wonderful. 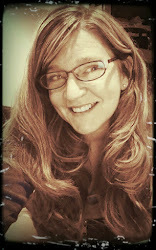 teaching position and a busy family life.